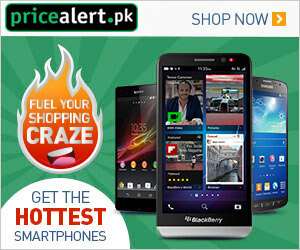 For Pakistani students here the brilliant news is there from Charles Wallace Pakistan Trust Scholarships 2019 Application Form Download from British Council Official Site. Guy's for all of the Pakistani individuals it's the great opportunity to avail this golden chance to avail and the main motive of this scholarship is to provide assistance to mid-career professionals wish to visit the United Kingdom to broaden their professional knowledge, skills, and contacts. This fellowship may take the form of attachment from a university, department, professional, institute and arts center and purposes of this fellowship are two first professionalization familiarization and interaction whereas on the other hand study and research. All those individuals who are seeking and looking for such offers so come forward and apply before due date. Now, I will let you know about its further details below. Only Pakistani natives are welcome to apply. Age of the applicants should be 30-50 years. Candidates should be having a firm offer from (for the period applied for) from a UK institution. Candidates are required to apply in the following disciplines such as (Social Sciences, Social Development, Humanities, Education, Arts & Creative Industries, Environmental Sciences, and Health Sciences) are the disciplined for which one can apply and one cannot apply for other than above subjects. All the award deserving candidates will receive a grant of £1,400 per month and a contribution of £815 towards international travel costs. The award-holders are responsible for making all arrangements in the UK in consultation with their host university. Applicants who meet the said criteria are required to download the application form from the official site as www.britishcouncil.pk or from the given link below. The last date for applying is May 30, 2018. So, for more such updates keep in touch always. Last Date For Apply: May 30, 2018. 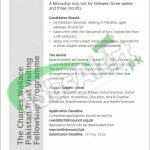 Above Charles Wallace Pakistan Trust Scholarships 2019 Application Form Download for British Council Scholarship for Pakistani Students 2019 is provided and only Pakistani Students are welcome to apply before the due date.